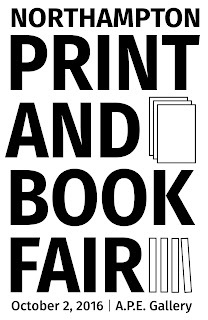 Free and open to the public, the Northampton Print & Book Fair is a one-day event that takes place at A.P.E. Gallery in downtown Northampton, Massachusetts on Sunday October 2 from 12PM - 6PM. 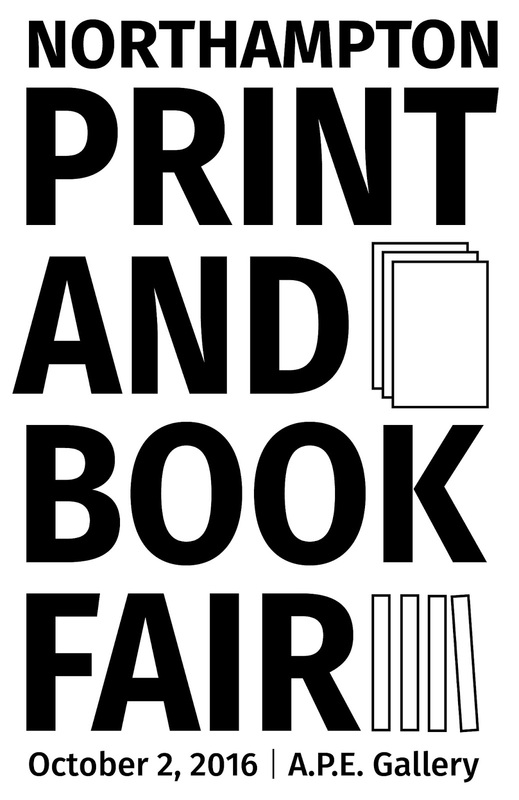 Saturday, October 1st we are hosting the NPBF 2016 Pre-Fair Party! Everyone is welcome – come party! This event is sponsored in part by the Northampton Arts Council and co-produced by Fugitive Arts, with additional support from Small Oven and River Valley Co-op.